How Much? $33/month, including postage. Prices in US dollars. 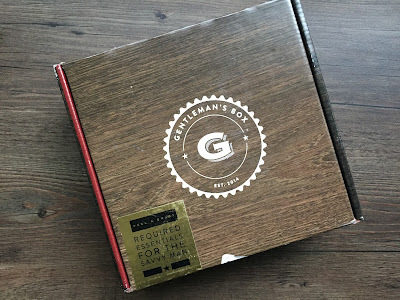 Gentleman’s Box is a subscription box for men providing essential items for today's gentleman. 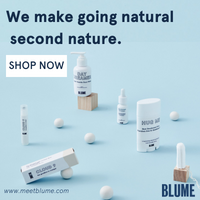 The monthly subscription box may contain a range of items from grooming supplies to wardrobe accessories – each selected to complement your or your man's lifestyle and align with our monthly theme. Each box is themed around a noteworthy gentleman from past or present. The products inside each box are picked to reflect the class and style of that month's featured individual. Over the years, many renowned individuals have defined what it means to be a modern gentleman. Through courage, charisma and admiration, these men have become icons to fellow gentlemen. How Much? $19.99 per month, plus $9.99 shipping. Save on 3 and 6 month terms. Prices in Canadian dollars. 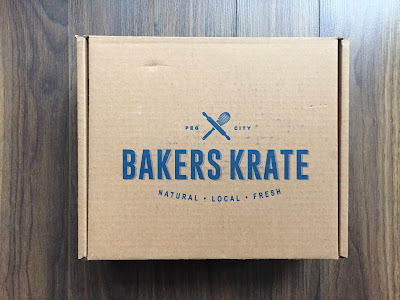 Bakers Krate is a Canadian subscription that sends gourmet, artisan baked good straight to your door each month. Bakers Krate curates different sweets and desserts from Canadian bakeries and treat makers. Each box contains at least six different fresh baked goods for you to enjoy. Bakers Krate ships throughout the month, between the 1st and the 20th. Sign up before the 19th of the month and you will receive that month's box. You can skip a month or cancel anytime. The product card includes details about each product and best before dates. There is also a seperate sheet included which lists the ingredients of each item. How Much? $10/month plus $4.95 shipping, or $159.40/year including shipping. Prices in Canadian dollars. Birchbox is the premiere beauty sampling service in the US and it's the service that launched the entire beauty box craze. Established in New York in 2010 by two friends, Birchbox now has operations in the UK, France, Spain, Belgium, and Canada. Your samples will include beauty products from all different categories, including makeup, skincare, haircare, and fragrance. You'll get to try cult favorites, new launches, and more. Birchbox will also try to tailor products to meet your beauty needs by following your Beauty Profile. Things like hair colour, eye colour, skin tone, and hair texture is taken into consideration. 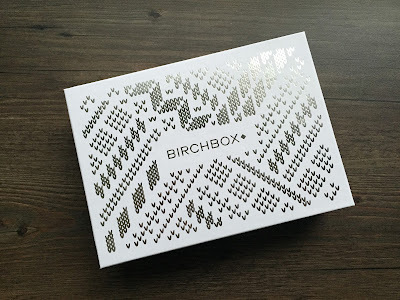 To see all my past Birchbox reviews, click here. How Much? $35/month, $99/3months, $180/6months + $12 shipping per box. All prices in US dollars. Each month, GlobeIn delivers “the globe in a box” - a collection of artisan-made products from around the world, curated around a central theme. GlobeIn introduces you to products that you can feel good about - they are often organic, fair-trade, and support artisans and farmers from around the world. 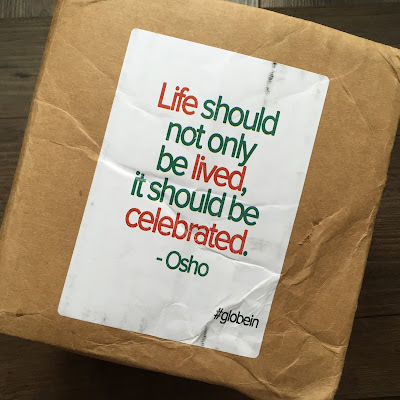 Click here to see all my previous GlobeIn Gift Box reviews. The theme of the December Artisan Box is...Celebrate! Isn’t it nice to think that celebration, in one way or another, has been a hallmark of humanity since our earliest ancestors? As a species, we are instinctually compelled to whoop it up every once and awhile over something we feel grateful for. How Much? $39.95 per month, plus tax, with free shipping. Save on longer terms. Prices in US dollars. What’s in it? A box filled with new items and delicious recipes, themed together to make the perfect feast or dinner party. Eat.Feed.Love is an online gourmet food store based in Victoria, BC. With every purchase, EFL donates to organizations that feed those in need. 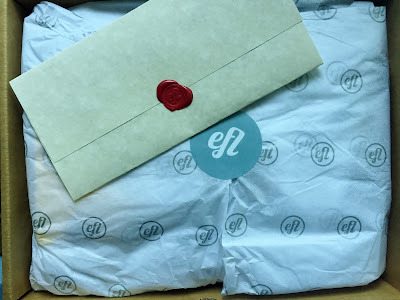 Along with the online storefront, EFL also offers a monthly subscription called Taste Club. Every month, we send a box filled with new items and delicious recipes, themed together to make the perfect feast or dinner party. Each delivery will include a variety of items from spreads, condiments, jams, honeys, syrups, cooking sauces, oils, vinegars, salts, spices, seasonings, chocolate and cocktail mixers, along with an assortment of recipes to make use of your new products.